Where do you get YOUR mail? I was born and raised in the small farming and ranching community of Kingsville, Texas, population 25,000, give or take. In front of our house, at the street curb, was a mailbox. I used to wait for the mail carrier to raise the red flag to indicate that we had mail, at which point I’d rush out to get it. Here in the city, we have cluster boxes. They aren’t nearly as much fun as a curbside mail box. If you come to San Diego for a visit, don’t neglect the boondocks! There are a lot of great, historic sites to see beginning with State Route 94. 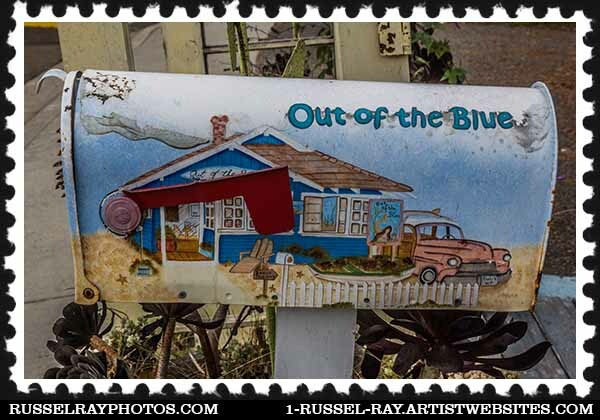 This entry was posted in Manmade, Photographic Art, Photographic Art @ Fine Art America, Photos, Picture of the Moment and tagged boondocks, mail boxes, rural san diego on November 3, 2015 by Russel Ray Photos. I miss having my own mailbox. I still get excited seeing a red flag up! Too bad, now all we have is a gray (boring) cluster mailbox! I’m assuming a “cluster mailbox” is one of those like you see on American TV where there are lots all in a big bank and you have a key? 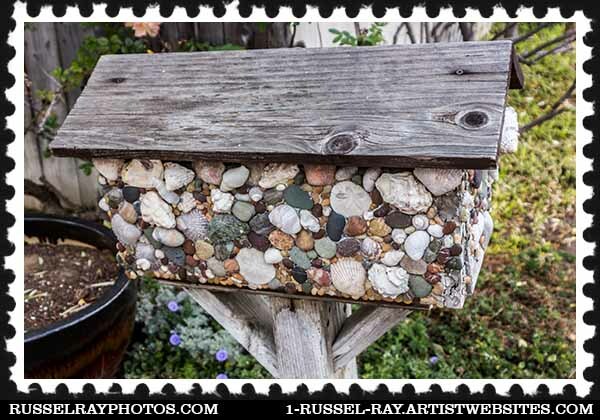 Love the mailboxes. This is where we used to get our mail. https://silkannthreades.wordpress.com/2014/01/19/life-is-full-of-surprises/ We now have a new respectable receptacle not shown in this post. 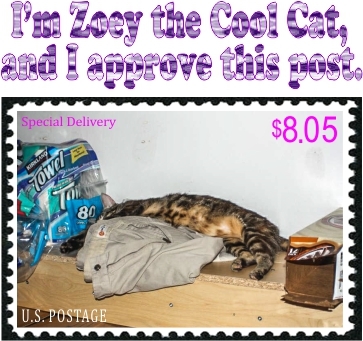 It was rare that I was disappointed since everything came by mail. The Sears and Montgomery Ward catalogs were the best! Our mail carrier knew everyone, too, which was nice if I was sitting out on the front steps because I could wave and say hi. Love the first one! Gotta run, check the mail box.